It isn't about the World Cup or the Olympics. It's about caring for the masses, and not using public funds on stadiums for events the majority will never attend. And they want those funds spent on the people who have provided the funds through crippling taxes and add-on costs for basic necessities. Teach the children. Heal the sick. Care for the people. These are the mandates people for which people are marching. Things haven’t calmed down much since the first protests in Sao Paulo in early June, which were first in reaction to the bus fare hike of R$0.20 (about 10 cents). 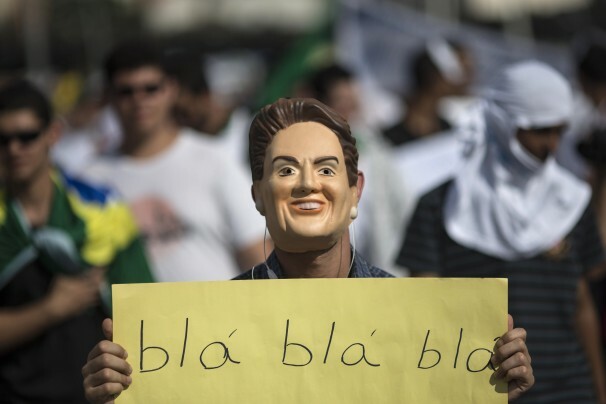 The rate hike has been reversed, but hundreds of thousands more Brazilians of all economic classes and socio-economic classes are still taking to the streets in protest. Now they are chanting against government corruption and insularity, against limits on policing crime, against severe and apparent lack of funding for education and health. These are the real concerns of the people of Brazil; the rate hike was simply the igniting factor. The lack of education here in Brazil is obvious, with too few schools, many unqualified and overworked teachers, and three sessions of classes a day. Children who attend public school go to school for four hours a day. That’s it. Classrooms are overcrowded, and some of the teachers teach all three sessions in a day (8-12, 1-5, 5:30-9:30). That’s four hours a day for classroom sessions and all the other things involved in a typical school day. It’s no wonder so many Brazilians who have gone to public school can’t read or operate beyond an elementary school level. There is even a law here that a certain percentage of movies brought from overseas must dubbed in Portuguese, because too many people can’t read the subtitles. As to health, good medical care is horrifically expensive if you pay privately at a quality clinic, and, according to our housekeeper, is horrible if you use the government-funded health care providers. She says that people simply don’t go to the doctors because they are so hard to get in to see, and then are so unprepared when you do see them. The clinics lack many basics, and much of the instrumentation is decades old, housed in filthy buildings. One frequently viewed video shows a doctor at her wit’s end, yelling at the cameras in her clinic, screaming that she is one person who has to take care of thousands of people without adequate supplies. Babies are dying and she can’t help them. Her rage is formidable, and her despair is tragic. 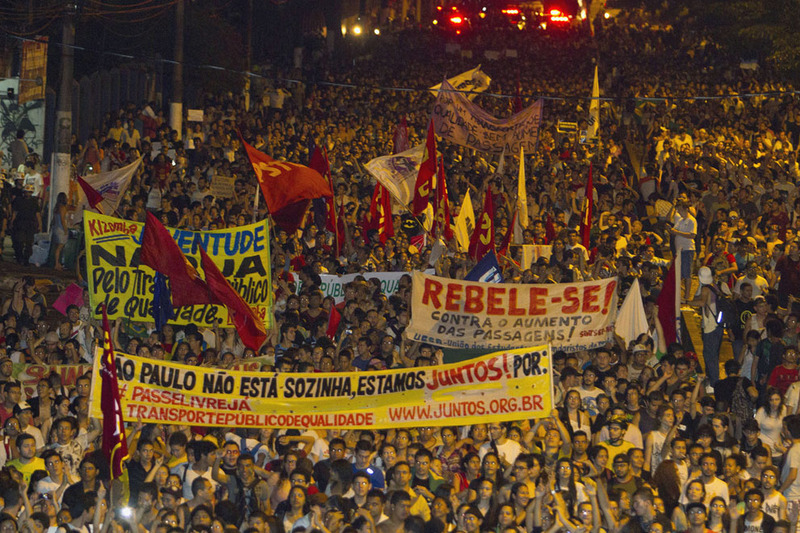 These are the greatest concerns of the people marching in Brazil. It isn’t about the World Cup or the Olympics. It’s about caring for the masses, and not using public funds on stadiums for events the majority will never attend. 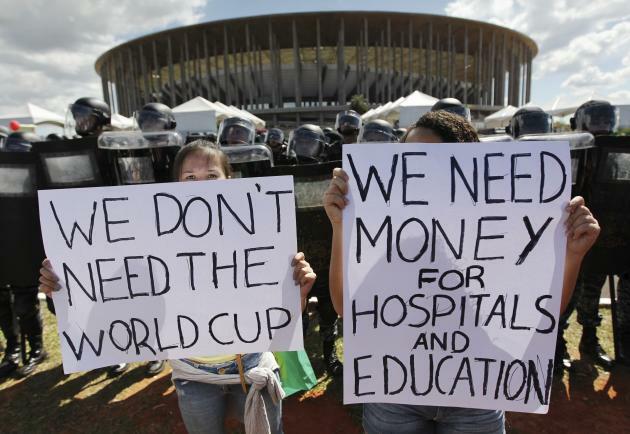 Despite President Dilma’s assurance that no public funds have been spent on the events, everyone knows better. And they want those funds spent on the people who have provided the funds through crippling taxes and add-on costs for basic necessities. Teach the children. Heal the sick. Care for the people. These are the mandates people for which people are marching. Plus, end the corruption that is bleeding billions from the public funds, and use those recovered funds to improve existing roads, pave more roads, and restart the train industry, which was demolished in the 1960s at the request of some international airlines, who feared the competition that trains would create. The government has plans for a hi-speed train that would connect Rio and Campinas, sites of World Cup matches, but they need so much more than that to open up the country and unstifle its almost paralyzing travel woes. Keep your eyes on Brazil, folks. Let’s see what changes grassroots protests can promote. Amazing what is going on around you guys there! We’re praying for your safety and that of all the citizens standing up for their rights in Brazil. Is World Youth Day still going to take place down there? I wonder how many parents are rethinking sending their kids. Who knows maybe Pope Francis can help put things right! We are having demos in Costa Rica…not on the Brazilian scale, of course…but people have had it up to here with corruption and cover up while basic services need urgent improvement. 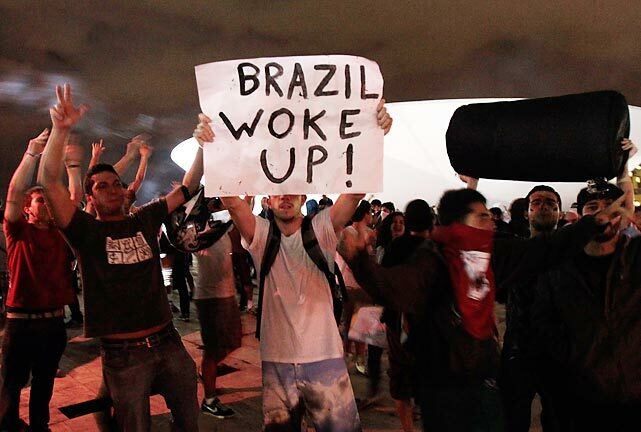 I hope it stays peaceful in Brazil….it worries me that police intervention will spark off violence which will then be used as an excuse to use more violence against peaceful demonstrators. So exciting (and nervewracking?) that you are there to experience this. Not only people standing up for themselves but possibly an entire national shift? Nerve-wracking to a degree, though we stay away from the center of crowds, and as far as we can from the protests. But, it’s going to get ugly soon, I’m afraid, as other groups (unions) step in and try to make their demands. Next Monday, we expect the transportation unions to go on strike, including buses, metro, and trucking, possibly. Things could spiral then. We shall see, and hope that nothing goes out of control. This is the time for people to step up and make their voices heard, but not risk their opportunity by having the waters muddied by other groups.